How Do Ad Attribution Conversion Windows Work? What is an ad attribution conversion window and how does it work? 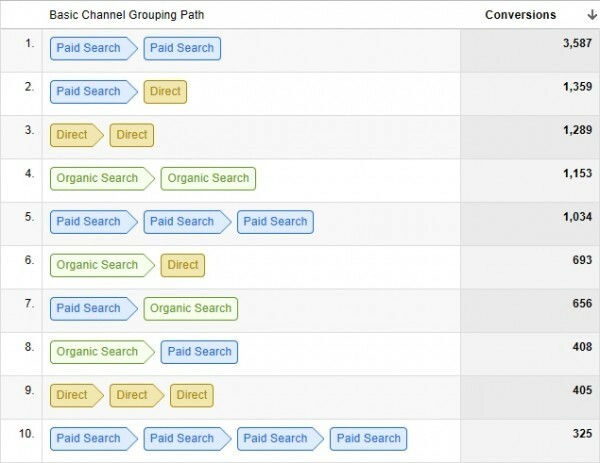 In short, ad attribution is the way in which ads from different marketing channels (e.g. Pinterest) are “credited” for earning user behavior (e.g. app install). Whether or not a conversion is is attributed to an ad network depends on the attribution conversion window, which is the period of time (after the user engages with an ad) that a user’s behavior may be credited back to an ad. 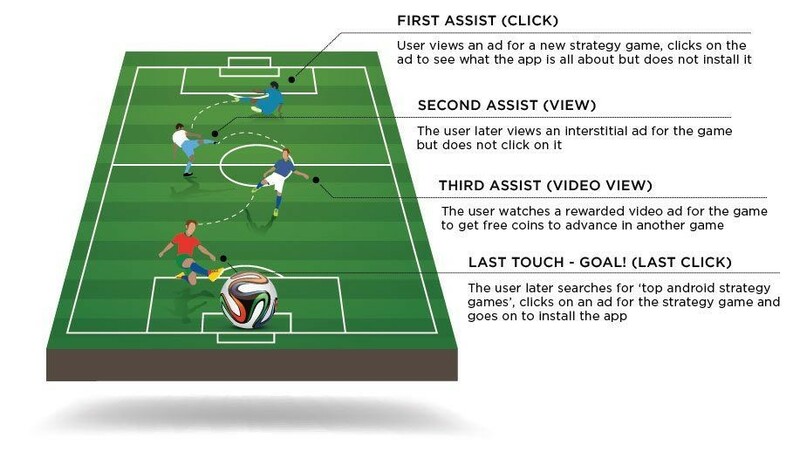 If the user’s activity takes place within the window, then the ad network receives the attribution. If the user’s activity takes place beyond the window, then the ad network is not attributed. In mobile advertising, the channel that receives credit for user behavior that cannot be attributed to an ad is the organic reporting bucket. In Google Analytics, this is the direct bucket. In the above spreadsheet, several traditional install attribution settings are listed, along with scenarios indicating whether the attribution window would credit the ad with the install, depending on how long the install occurred after the user’s initial click. As you can see, if the user’s install occurs beyond the number of days indicated in the attribution window, the user’s install will be credited to organic, and not the ad. In the above spreadsheet, several default attribution settings are listed for a few popular networks as well as AppsFlyer, along with scenarios indicating whether the attribution window would credit the ad with the purchase, depending on how long the purchase occurred after the user’s initial click. Just as in the installs example you can see that if the user’s purchase occurs beyond the number of days indicated in the attribution window, the user’s install will be credited to organic and not the ad. However, unlike with installs AppsFlyer will record purchases for the ad network for as long as they occur and as long as the original attribution is not blocked by the loss of ad tracking (see the next section for more information on LAT). To reiterate on this important point: while the network will not receive credit for in-app events that fall outside of the network’s event attribution window, the MMP has no reporting conversion window and will attribute in-app events to their installs-attributed sources forever. That said, this fact may change with the evolution of new, lifetime value-oriented ad features. In addition to click-based attribution, there is also the ability for advertisers to attribute conversions on an impression basis, which is most often referred to as “view-through” attribution or "VTA." In a world filled with ads, marketers tend to shy away from using view-through attribution in favor of the stronger click attribution. That said, with the proliferation of deeper, multi-click analytics (see the final section of this post) and ad networks pushing view-through attribution, view-through attribution is gaining in popularity. Facebook, for instance uses a default 1-day view-through attribution and Google has recently introduced the concept of view-through attributions into UAC reporting. In the above example a standard view-through attribution credit is listed, with the range of this install attribution window indicated. One common way in which attribution can malfunction is if a user has limit ad tracking (LAT) enabled, or has reset their advertising ID. In this case the attribution can be recorded for the initial install, but cannot be provided for anything beyond the initial install, causing disruptions to ad ROI calculations. In the case of users with LAT enabled, the install will be properly attributed to the network, but all in-app event attribution will be incorrectly credited to organic. It is impossible to properly allocate credit in this case, but some models include applying an assumption of in-app activity to installs with LAT enabled. Learn more about LAT here. It is useful for your MMP to attribute events (even installs) to an ad platform for as long as they are accurately credited, so that your reporting can provide the true view of each ad platform’s value. Setting too short a window can cause the bidding algorithm to miss its target CPA and bid lower, leading to lower scale. Setting too long a window can cause the bidding algorithm to bid higher and assume that conversions will be credited later, leading to lower ROI. How short/long to set the optimization window is a dynamic decision that depends on many factors, such as the event optimized for, current user quality, competition/pricing, the app’s current event conversion ability, and so on. For example, Facebook mobile app install campaigns have a click-through attribution window of one day, despite crediting itself with installs for up to 28 days. Again, this causes the ad bidding algorithm to optimize and adjust more aggressively, based on data only within the last 24 hours, thus enabling it to be more efficient. Because installs typically occur within one day after clicking, a 1-day optimization window is a good idea. On the other hand, Facebook’s value optimized campaigns optimize against a 7-day optimization window, which may be too aggressive in some cases, as purchases can reasonably be recorded for weeks or even months after the initial install. In the example above, 81% of the total events occur within the first 17 days after the initial install date. In this case, using a 30-day attribution window could lead a bidding algorithm or your own optimization strategy to hold off on making final bidding adjustments before data on the full conversion window is observed, becoming less efficient and driving lower ROI. We can see that there is a strong rate of diminishing conversions as time goes on by the exponential shape of the graph. The example above shows a different story: in this case only 62% of the total events occur within the first 30 days and the graph shape is linear. This indicates that there are no rate of diminishing returns to waiting for more events, and that it is likely better to set a longer attribution window for best results given that it is equally likely that more events may occur as time goes on, and making a decision too early may lead to lower scale. Another concept useful to know is that of multi-touch attribution. The most common method of crediting conversions is based on last-click, wherein the ad or marketing signal that the user interacted with last is officially credited. First-click attribution is the second most common model, wherein the ad or marketing signal that the user interacted with first receives full credit. Multi-touch models also exist, which assign partial credit to each ad or marketing signal, based on their order in the total sequence leading to a user’s conversion. If one type of ad or network has a larger percentage of the user's screen/stronger recall/brand lift than another, that ad may deserve a larger percentage of the overall attribution model, such as a playable, video, or interstitial ad. One model called time decay, takes the recency of events into account, assigning a higher percentage of attribution credit to conversions that occur more recently. Attributionapp.com offers insight into a time decay multi-touch attribution model.